I wonder what would happen if a customer ask that their burger not be wrapped in foil? You could ask for it in one of their tinfoil tubs. They use them for bunless burgers for people with gluten or wheat issues. Next time we go, I'll ask for mine unwrapped. I'm not at all going to use this as a giant excuse to go there again when I really can't afford it right now. I agree with Jim! I'm not sure you need to go as far as to bring your own plate. They should have some kind of container in house that could hold a unwrapped burger. This should be done in all restaurants. Get the food how you want it. If you want hot fries then ask that they be fresh made. Remember, the restaurant does things the fastest and easiest way they can. All they have to go is ask "For here or to go?". For the ones in our area, the only difference between a "to-go" order & a "to-stay" is that with the "to-stay" the paper bag is placed on a tray. Hey, it's the same everywhere ... even in the Food Capital of the World! For snicks and "just to say I did", this October I visited the first Five Guys in Paris which then had been open for nearly three months. As Paris is the very apex of food preparation and presentation I was curious to see how the locals liked it. I walked in the rear entrance and spotted "an obvious American" in a Five Guys hat. I introduced myself as one of the 'original customers' of their first store and we sat down and had a long conversation. The regulatory state in Paris makes D.C. look like the Wild West, e.g., they soon would have to install RF chips in their cups to prevent 'free refills' which would soon be verboten in Paris. Weekly sales were averaging e170,000. For comparison, a highly successful McD's weekly sales are less than a third of that. French workers were far more "temperamental" and potentially litigious than those in Britain and the U.S. (no surprise there). This location is a 'dress rehearsal' for the store they would soon be opening on the Champs Elysees. That store opened in December in an ultra-prime location between Metro's George Cinq and Franklin D. Roosevelt. 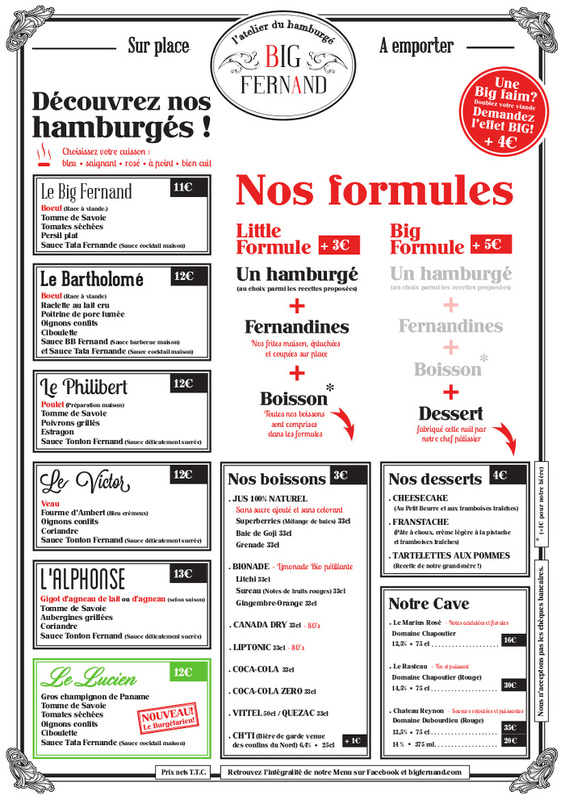 I'd eat at Big Fernand. It looks a lot better than any 5 Guys. And it is less expensive as well. At Five Guys a cheeseburger, "small" fries, and a Coke costs 16 Euros (presently $17.00); the same thing here in Texas runs $11, but it's worth the extra six bucks to be eating the same thing on the grandest avenue on the planet. And, there, Sauce Béarnaise is both available and complimentary; frankly you haven't lived until you eat Five Guys fries slathered in Béarnaise! The food is excellent and the presentation is, well, French. I took one for the team and did some investigative research at RDU 5 Guy's. What damage exactly is foil supposed to cause? It was less than 2 minutes from foil to mouth and I noticed no ill effects. Depending on the toppings and the time it takes to unwrap the 'damage' ranges from their good buns losing their aesthetic appeal to moist bread. From the beginning Five Guys has always sourced excellent buns. in a small Arlington, VA strip center. Brenner's did their buns fresh daily. Sadly, the first Five Guys and Brenner's are no longer there. We have them here in the San Antonio area. I once in awhile go to the one in Live Oak in The Forum shopping plaza. I like what I get . No complaints here on their food. Jim, Correct me if I'm wrong...was there not a TGI Fridays across the street (the corner of South Glebe and Columbia Pike) in the 80's? No. The other three corners were covered by a bank, Rosenthal Chevrolet, and Rosenthal Used Cars. But, your memory is correct in regard to their second location on the SE corner of King and Beauregard in 'Arlandria'. There was, and - and according to Google Maps - still is a TGIF there. As their former premises is a run-down, seedy little strip center, The Five Guys is no longer there. A 'historic note': that store (#2) was the first to offer seating. Like #1 it opened as a small carry-out but Jerry Murrell soon convinced my friend Jerry H., the owner of the center, to lease him the premises of the former laundromat adjacent to the carry-out. It was a 'low rent' build out; all they did was to knock down part of the wall and put 'one piece' picnic tables for seating. Those, a trash can and a condiment table (on which was offered, inter alia, malt vinegar for the fries. The seating and vinegar made it my Five Guys of choice. 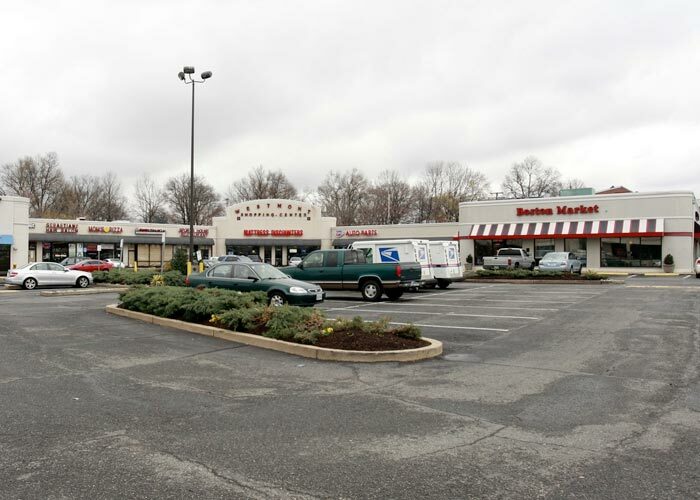 Relatively soon thereafter they opened in Springfield, Old Town, and Hybla Valley (Route 1) - all with seating areas in old, abandoned restaurant premises. Then, 1,500 or so stores later, Paris. I used to live about a mile from the King-Beauregard location. My in-laws discovered that 5-Guys and introduced me to it. Coincidentally, I now work walking distance from that old site. Yes the TGIF is still there. And the Frogs Five Guys. Five Guys is still in business? I LOVE Five Guys!!! Thankfully, the one on my street closed a few years ago to make way for a new building or I would be there way more often than I should be! I don't have any problem with the foil wrapper. I have never, ever been disappointed with any burger or fries that I have have gotten from Five Guys and that includes eating in and take-out. Still squashing their burgers and burning them until well-done. Their first Paris store in Bercy does $170,000/week. The store on the Champs must be doing double that. Of course the rent is a little higher and they have to dodge the occasional bullet. BTW, Waffle House still serving their frozen patties 'rare'? But if you need to lose 20#, there's nothing quicker than the e-coli diet! I get mine medium rare at Waffle House. But I'm sure they'll make 'em rare on request. By the way, they're not frozen when they hit the flattop. I live in Gainesville, Fl home of the University of Florida. Being in a college town the choice of burger joints is nearly overwhelming. I think we have every burger chain with the exception of In and Out and Walburgers plus dozens of local places. 5 Guys has 2 locations here but I don't see them very busy when I drive by. As for me I like 5 Guys pretty well but I still have many other places to try before stopping there again. We do have a couple of local drive thru only places that have very good burgers. The Sandwich Inn is one and Mac's drive thru is the other. The Sandwich Inn touts itself to be the oldest continuingly operating restaurant in Gainesville. Unfortunately both of these places aren't in the best neighborhoods so eating in the car can be an adventure. I just didn't like them. Maybe I ordered the wrong thing, I don't know. Bob liked them-but it was new at the time. He would rather go to Waffle house for a double cheeseburger with pickles and fried onions. As would I. Make no mistake, I like Waffle House, too. We ate at Five Guys for the first time tonight and overall it was pretty good, especially the fries. But the $25 bill...ouch! For that kind of money we'd prefer to go to our local burger joint. When you put all the toppings on,even the single burger is a giant burger, and we've learned one giant bag of fries can feed three...and all those peanuts...we leave very satisfied and full. The single burger is comparable to other burgers...Better tasting than many. A small fry is really a big fry!! Mrs. Metro's and my order is the same - except I have to have my Cherry Coke - and we both emerge stuffed. More good news for the French: in Paris, new Five Guys locations are now open @ Opera and @ the "Dome Mall" in La Defense. We always spend a lot of time shopping and lunching in the 8th., so their new location on Bvd. des Capucines @ Place d'Opera will come in handy when we go in May. And here is their original location on the NE corner of S. Glebe & Columbia Pike. It's the little 'cubbyhole' storefront to the left of the Boston Market. Brenner's Bakery (which did their buns) was in the space now occupied by the auto parts store. Regarding King & Beauregard - that small strip center was sold by my buddy and demolished. I'm sure that land brought a payday in the low sevens; it had been in his family for years. The strip center site at King & Beauregard is being developed as a "multi-use" development. Condos/apartments and retail including a Harris Teeter. As I drive by it every day on the way to work ,it has been interesting observing the progress of the development. Five Guys will only make well-done burgers as a matter of policy and I think most of the flavor comes from the toppings, not the meat. If it's the only non-McDonald's / Burger King, etc. game in town, then sure, it's not bad, but there are far better burgers out there, especially in Texas.